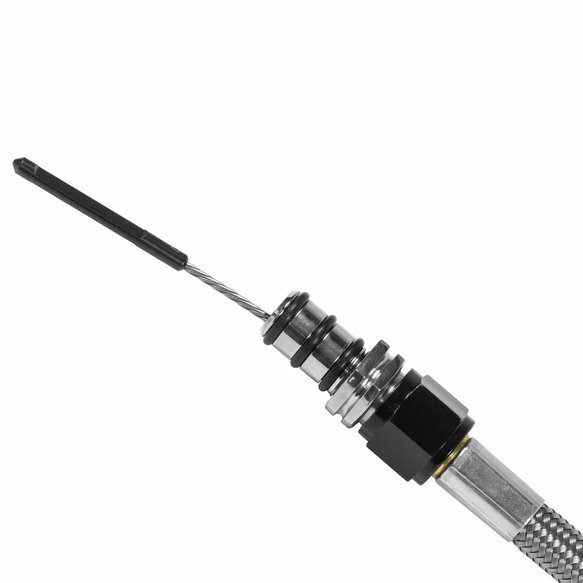 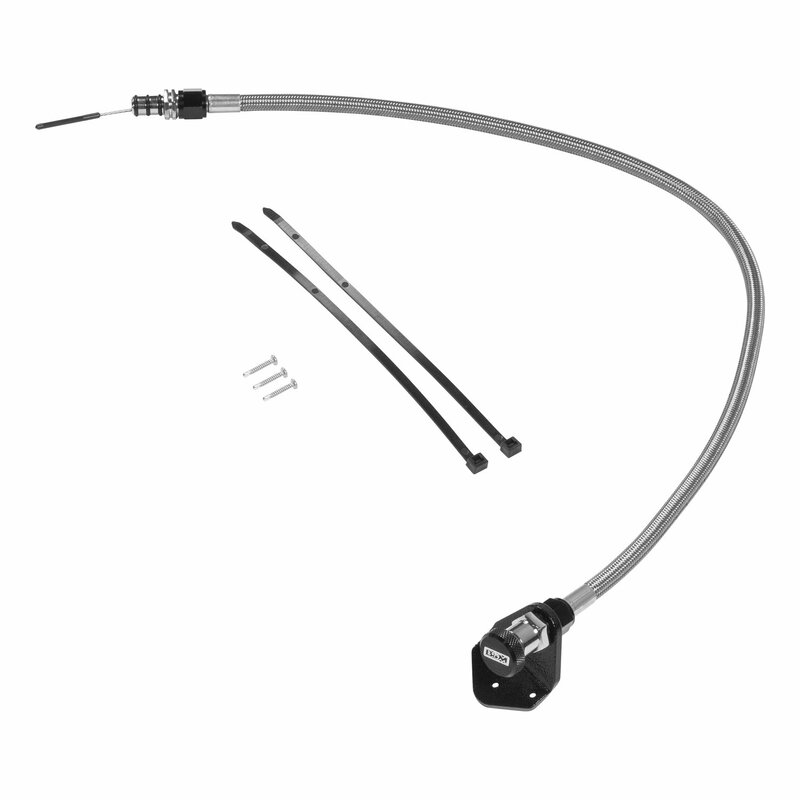 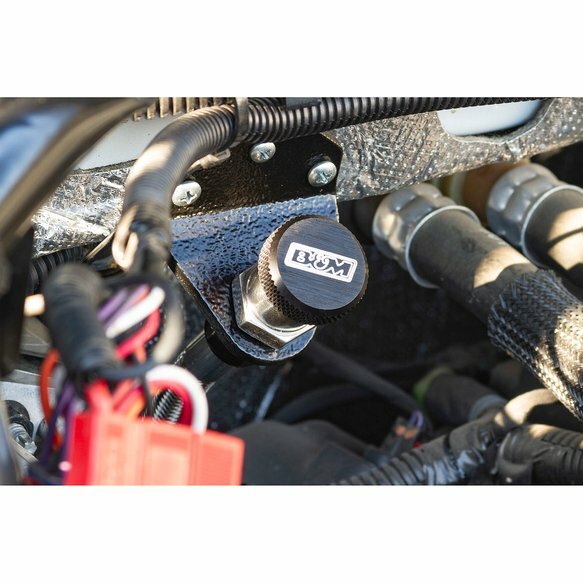 The B&M Locking Transmission Dipstick was designed to allow for a quick and easy check of the automatic transmission fluid level and fluid quality by the vehicle owner/operator without having to go to the dealership. 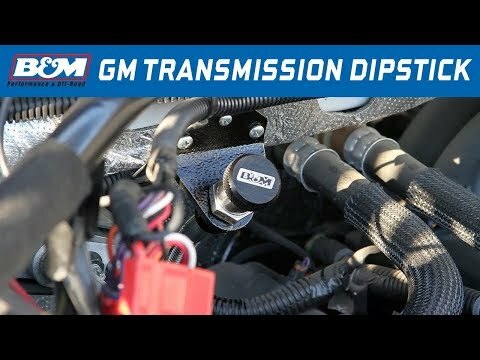 Fits GM trucks and SUV's with a 8L90E 8 speed transmission. 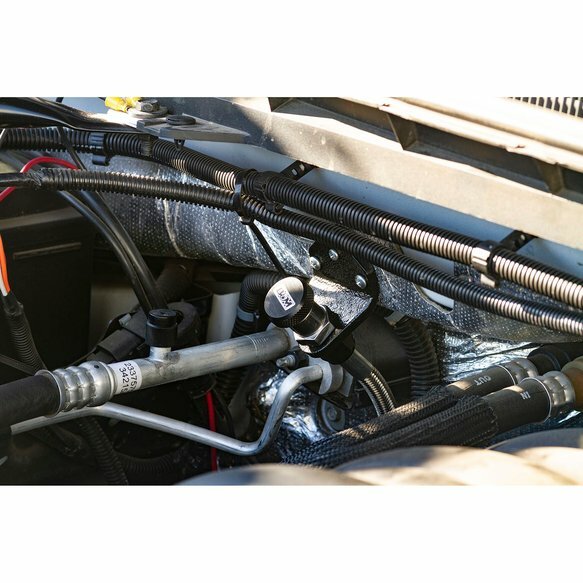 Constructed of billet aluminum fittings, stainless steel braided tube and black mil-spec anodized aluminum 6061-T6 cap and bracket, this rugged unit allows for fluid level checks and is meant to be left in the vehicle and locked into place. 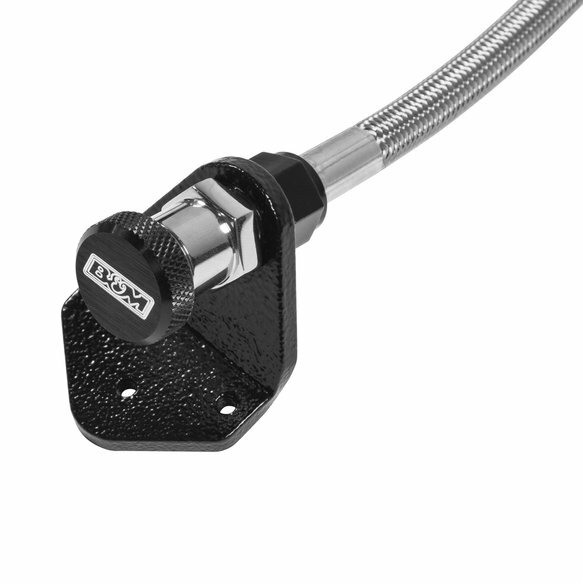 Additional features include an engraved B&M logo locking knurled handle cap and fluid level stamped indicator end.